The Guidewire Software 2018 annual meeting is December 6th. Vote AGAINST ratifying the auditor and pay. Vote FOR our proposal to declassify the board to enhance long-term shareholder value. 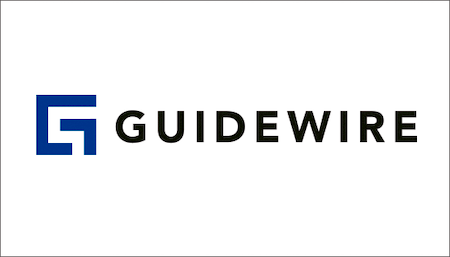 Guidewire Software, Inc. (GWRE) provides software products for property and casualty insurers worldwide. Most shareholders do not vote. Reading through 50+ pages of the proxy takes too much time. Your vote will make only a small difference but could be crucial. Below, how I voted and why. If you have read these posts related to my portfolio and proxy proposals for the last 22 years and trust my judgment, skip the 8 minute read. See how I voted my ballot. Voting will take you only a minute or two. Every vote counts. I voted with the Board’s recommendations 50% of the time. View Proxy Statement via SEC’s EDGAR system (look for DEF 14A). From the Yahoo Finance profile: Guidewire Software, Inc.’s ISS Governance QualityScore as of November 1, 2018 is 6. The pillar scores are Audit: 2; Board: 2; Shareholder Rights: 8; Compensation: 9. Corporate governance scores courtesy of Institutional Shareholder Services (ISS). Scores indicate decile rank relative to index or region. A decile score of 1 indicates lower governance risk, while a 10 indicates higher governance risk. We need to pay close attention to the Shareholder Rights and Compensation. Egan-Jones Proxy Services recommends FOR all board nominees. I have no reason to believe the auditor engaged in poor accounting practices or has a conflict of interest. Egan-Jones recommends voting against the auditor if they served for seven years. Independence becomes compromised by that time. Guidewire’s auditor has served more than seven years. No other issues appear significant. Guidewire Software’s Summary Compensation Table shows the highest paid named executive officer (NEO) was President and CEO Marcus S. Ryu at $11.2M. I’m using Yahoo! Finance to determine market cap ($6.9B) and I define large-cap as $10B, mid-cap as $2-10B, and small-cap as less than $2B. Guidewire Software is a mid-cap company. According to the Equilar Top 25 Executive Compensation Survey 2015, the median CEO compensation at mid-cap corporations was $8.4M in 2014, so pay was over that amount. Guidewire Software shares outperformed the S&P 500 over the most recent one, two, and five year time periods. The ratio of the annual total compensation of the CEO to the median of the annual total compensation of all employees was approximately 68:1. Egan-Jones Proxy Services uses a proprietary rating compensation system to measures wealth creation in comparison to other companies. “Good” is their compensation rating for Guidewire Software. They recommend a vote of FOR for the say-on-pay item. Vote AGAINST. Normally, when I vote against pay I also vote against members of the compensation committee. Because of Guidewire’s use of a classified board, none of the members are up for a vote at this year’s meeting. It is intuitive that when directors are accountable for their actions, they perform better. We therefore prefer that the entire board of a company be elected annually to provide appropriate responsiveness to shareholders. After evaluating the details pursuant to the shareholder proposal and in accordance with the Egan-Jones’ Proxy Guidelines, we recommend a vote FOR this Proposal. In 2010 over 70% of S&P 500 companies had annual election of directors. Now that number stands at 89%. Most (65%) mid-caps have also declassified their boards. It is time for GWRE to join the 21st century. Shareholder resolutions on this topic won an average of 84% support in 2018 as of early June. Wins included 94% at Hecla Mining, 88.4% at FleetCor Technologies, 86.9% at Whitestone REIT, and 84.4% at Illumina Inc. No shareholder on this topic was recorded as willing less than 67.3% of the vote. That low support was at Axon Enterprise Inc.
Guidewire’s opposition statement notes that even if a majority of shares vote in favor of the proposal, it is non-binding. If passed, the board could put the issue on the proxy and enactment would require the affirmative vote of the holders of 66 2/3% of the shares entitled to vote. That is a fairly high bar. However, it brings the proposed reform into context. Shareholders cannot call special meetings. Shareholders have no right to act by written consent and supermajority vote requirements are needed to amend certainly charter provisions. The combined effect is to lock the board into an out-dated corporate governance structure and reduce board accountability to shareholders. Proxy Insight has not yet reported any votes as of this writing. Supermajority vote requirement (66.67%) to amend certain charter provisions. To be included in our proxy statement for the 2019 annual meeting, stockholder proposals must comply with the requirements of Rule 14a-8 under the Securities Exchange Act of 1934, as amended (the “Exchange Act”), and be received by our Secretary at our principal executive offices no later than July 8, 2019, which is one hundred twenty (120) calendar days before the one-year anniversary of the date on which we first released this proxy statement to stockholders in connection with this year’s annual meeting. Contact our Secretary at Guidewire Software, Inc., 1001 E. Hillsdale Blvd., Suite 800, Foster City, CA 94404. Preliminary count was 92% FOR Declassify the Board. Thank you to CorpGov.net readers, especially GWRE shareholders.